Do you need a place to house your website but are confused in picking the one that goes best for your website? Do not worry, since there are many web hosting service providers and also the competitive environment, it becomes obvious to face difficulty and confusion in picking the one that meets your business needs perfectly. Choosing the right kind of web hosting services is essential to make easy access to your website. 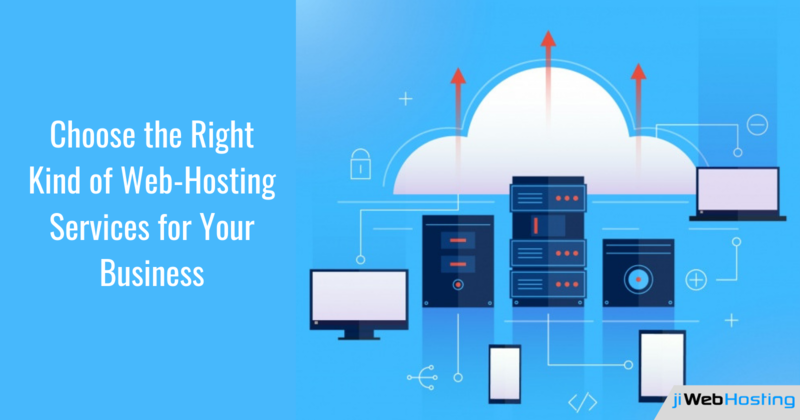 There are many free web hosting plans but these plans are beneficial for startup phase of your online business, but as your business grows and becomes more complex, it becomes necessary to look for a well-defined hosting plan. To clear your needs, we have discussed some important web hosting services. Have a look and choose the one that goes best and suits your business needs. As the name implies, it allows you and other website owners to share one server source like RAM, CPU etc. This is extremely beneficial for startups because the sharing of a server among 100 of different website owners reduces the operational cost of the website. There are however a number of downsides that are associated with these services like sharing your server will place your website at the mercy of another website. Thus a popular site on a shared server may adversely affect the performance of your website. Also, occupying the larger space on the server would result in slow functioning of the website. Virtual Private Server hosting or VPS hosting is within a shared hosting environment but mimics the dedicated server. It is thus considered as a stepping stone between shared hosting and getting your own dedicated website hosting, This type of website hosting is beneficial for those who do not want to invest much but need more control over their website. These type of plans are more flexible and also allow users to customize their environment. But to work smoothly with VPS hosting plan it is essential to gain some knowledge for using the same in order to avoid removing any crucial files or software. Cloud-based web hosting is similar to VPS but it places your websites on a virtual machine. Thus it allows hundreds of individual servers to work together. With so many servers together this kind of web hosting looks giant. It accommodates a surge of traffic and thus prevents your website from shutting down. Thus it is a good option to choose when your website is getting heavy traffic. Dedicated web server means that you have the entire web server for yourself. Since it avails all the server resources to you without sharing it with other website owners it allows faster performance and hence is the best choice if your business is growing rapidly and is getting heavy traffic on the website. Since you have all the server's resources yourself and is not shared with other website owners it allows faster performance. The only downside of the server is that it is costly and require high technical expertise for installation and management of the same. In the colocation web hosting plan you purchase your own server and rent rack space from a data center. The data center offers you the power, bandwidth, IP address, and cooling system to support your server. This type of hosting plan gives access to higher levels of bandwidth than a normal office server room at a much lower cost. The only disadvantage of this hosting plan is that it demands a good technical know-how in-house. If you are still having doubts and questions to ask for, rely on us.jiwebhosting offers the best hosting plans and services at the most affordable price. We not only avail you the services but also provide you 24/7 technical support & assistance. Get in touch with us now and get an optimal performance of the website with our hosting plan.